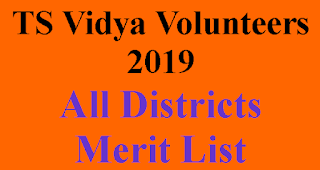 Government of Telangana Created Principals , Junior Lectures, Physical Director, Librarians, Senior Assistant And Junior Assistant Post in Government Junior Colleges. 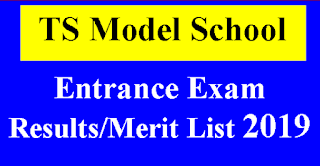 Details are as follows. 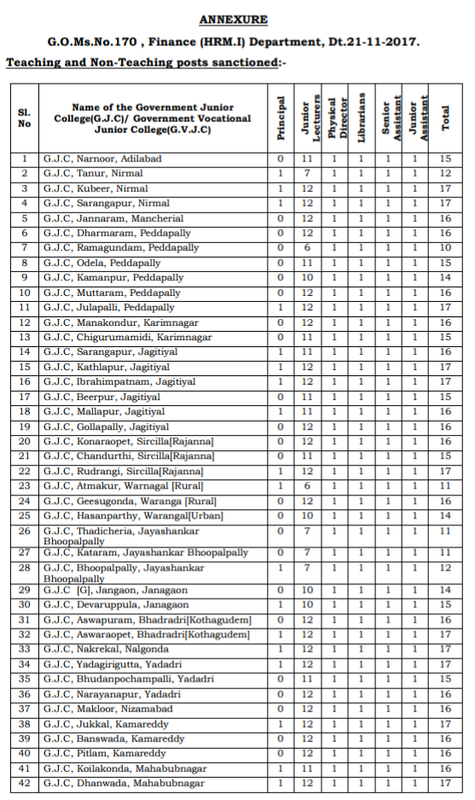 TS JL's And Non Teaching Post Creation in Telangana State Government Junior Colleges G.O Ms.No.170. Dateed :21-11-2017 Issued. STATE GOVERNMENT Of Telangana CREATION OF TEACHING AND NON TEACHING STAFF IN Govt JUNIOR COLLEGES OF TELANGANA STATE G.O Ms. NO.170 DATED: 21-11-2017 ISSUED. 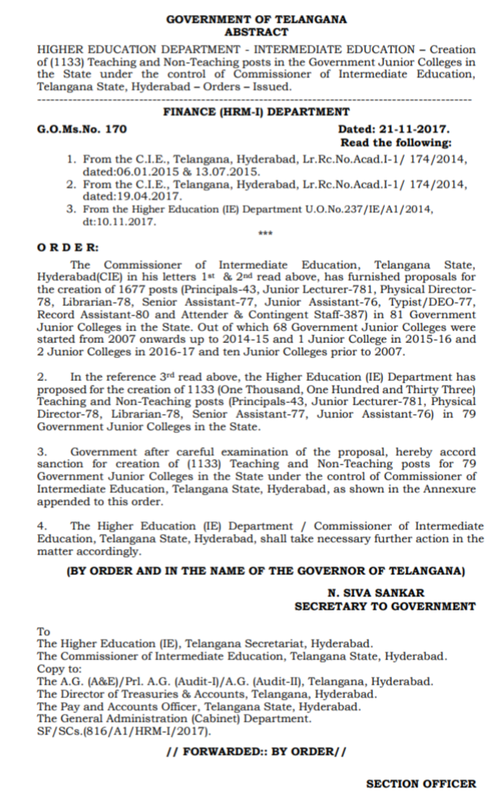 HIGHER EDUCATION DEPARTMENT lNTERMEDlATE EDUCATION Creation of (1133) Teaching and Non-Teaching posts in the Government Junior Colleges in the State under the control of Commissioner Of Intermediate Education, Telangana State, Hyderabad Orders Issued. The Higher Education (IE) Department has proposed for the creation of 1133 (One Thousand, One Hundred and Thirty Three) Teaching and Non-Teaching posts (Principals-43, Junior Lecturer-781, Physical Director-78, Librarian-78, Senior Assistant-77, Junior Assistant-76) in 79 Government Junior Colleges in the State. 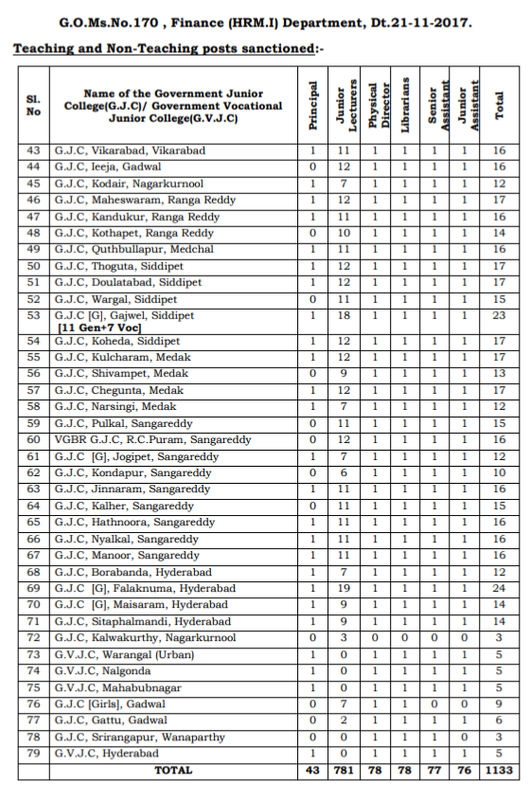 Government after careful examination of the proposal, hereby accord sanction for creation of (1133) Teaching and Non-Teaching posts for 79 Government Junior Colleges in the State under the control of Commissioner of Intermediate Education, Telangana State, Hyderabad.